Clothing Arts is a Brooklyn-based company, specializing in travel clothing with an emphasis on one of the biggest safety issues facing travelers … pick-pocketing. I first ran across this company by way of a Facebook ad a couple of years ago. I was intrigued by their marketing of their travel pants (and other travelwear) as being “pick-pocket proof”. So, I decided to give them a try. My first purchase was a pair of their Adventure Travel Pants. These things are straight out of an episode of Macgyver. Most of the pockets are a combination of zippers and buttons, and the main front pockets even have a zipper compartment INSIDE of the already buttoned / zipped pocket. At first, I didn’t really see much use for the interior zippered compartment. However, soon realized on my first trip with these pants that it was a perfect place to store those items that I need to keep on me (passport, keys, things I don’t want to leave in my hotel), but don’t really “need” constantly (phone, cash, credit cards). I liked these pants enough that I decided to give some more of their gear a try. My next purchase was the Cubed Travel Jacket. I wear this thing everywhere. Granted, it is a bit pricey, but the value is in the product … trust me. It is absolutely waterproof, just light enough to wear on a cool day, but roomy enough to be able to layer underneath on colder days. Furthermore, in keeping with their mission, the jacket has many pockets, each with zippered compartments. The left breast pocket zips down and is very roomy. Easy to fit a wallet and phone, allowing you to keep your hand pockets free from items. Additionally, the inside of the jacket has multiple zippered compartments, each of which also have a snapping mechanism that locks the zipper to the physical inside shell. Granted, the link below is a referral link if you would like to try this gear yourself. However, this isn’t a paid article. I truly do wear this gear on my travels. 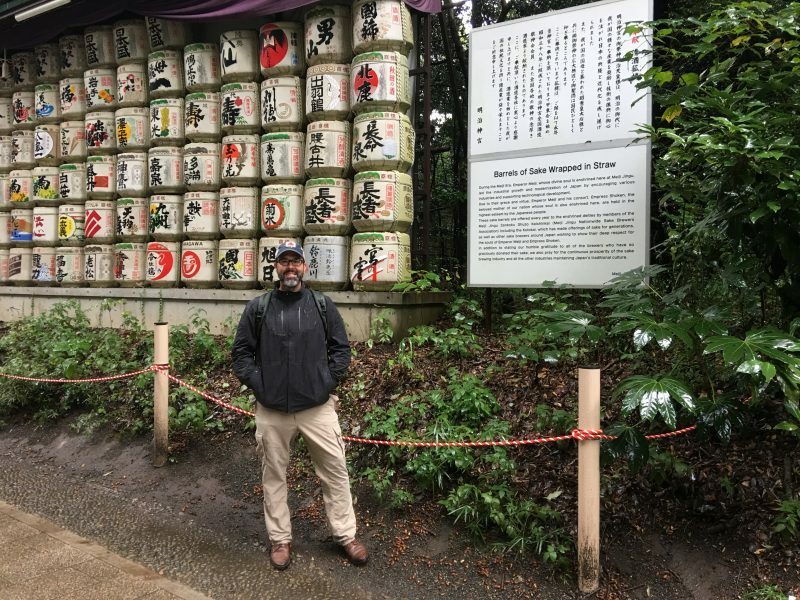 That’s me in picture below, wearing the Adventure Travel Pants and the Cubed Jacket on my trip to Japan in October 2017! Try this out yourself! Note: I do receive a referral fee if you choose to purchase anything via this link. Comment below if you have tried Clothing Arts! I am an avid traveler and am always on the lookout for ways to travel cheaply (or free). While most of my articles consist of my trip reviews from around the world, I also tend to sprinkle some words of wisdom relating to the points, miles, and "how to" of traveling the world. I hope you enjoy my articles, and be sure to comment or email me if you have any suggestions or additional travel advice!